Now, I don’t review academically like Mike, and I only crank out good review with Claymore. But let’s look at this movie anyhow. Music – by Kajiura Yuki, and songs by Fiction Junction with Kaori. Actress – no long truly mature voiced women acting all helpless, but younger, and almost more innocent women (read: Hirano AYA) acting innocent and hopeful. I was surpised to see Kajiura Yuki as the composer, I mean, she added the flair (but quite familiar and similar to her previous works ) to the movie. I’m not sure if the somewhat middle eastern flair to the movie fits the theme. 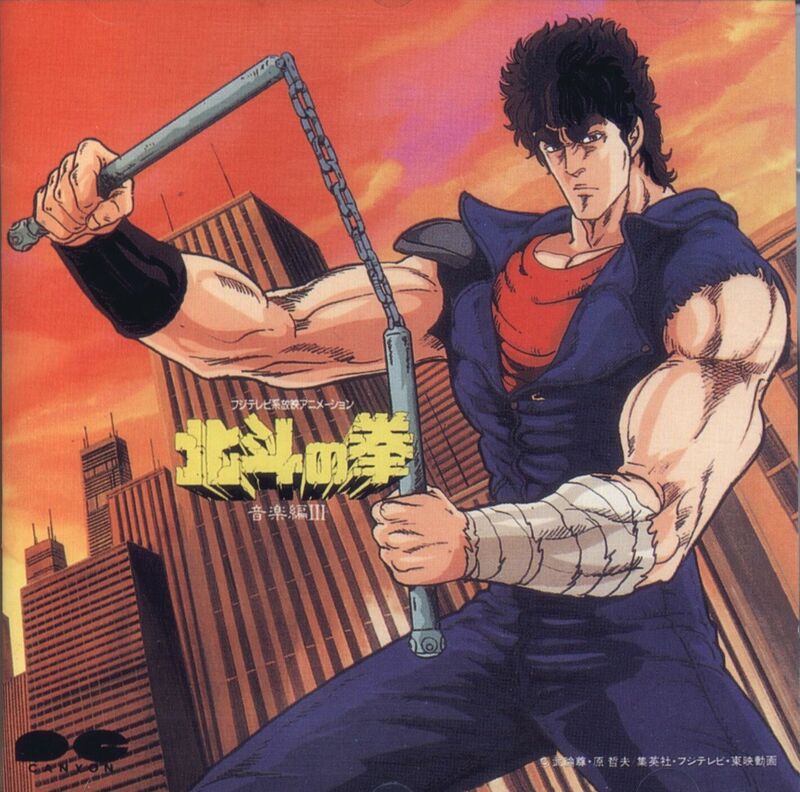 As little as I can remember, fist of the North Star really was just a violent manga expressing the violent and destructive urges of young men. It may have some scenes about redemption and struggle, but it’s been so long that I can’t remember, even having read the manga. The only thing I remember is that it was impossibly violent and bloody. Some of the other presentations are different than what I remembered as well. For example, I don’t remember they had Shaolin style martial art demonstrations, but instead, it was always somebody hitting someone, with a side explanation, and someone literally blows up. I mean, the old manga and movie was about “icons”. Every character was drawn with heavy, sculptured lines and shades with exaggerated personalities and ways of talking. This manga was the lord of macho (something that Major from Section 9 would definitely disapprove, but Goto Yuko may drool over).